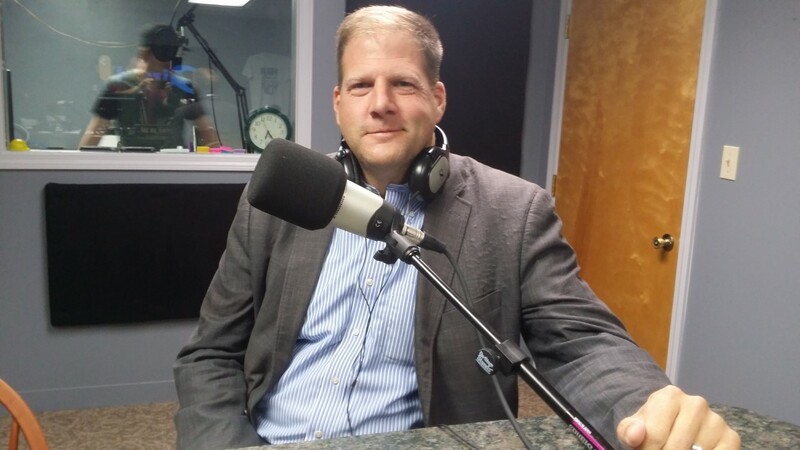 Saying he is, quote “grounded in the people and places of New Hampshire,” District Four Executive Councilor Christopher Pappas, Democrat from Manchester, announced he will be a candidate for Congress in the First District. In a Facebook post that went up yesterday afternoon, Pappas said Washington Republicans weren’t addressing the needs of the middle-class and that he wanted to be part of a new generation of leadership to turn things around. 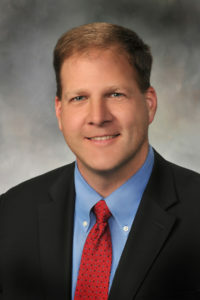 On the “About Chris” page on the Web site published in conjunction with the announcement, Pappas is praised for his work as an executive councilor who helped lead the fight to expand Medicaid, fought against quote, unquote “extreme attacks on women’s health,” cast critical votes to fund Planned Parenthood, been a leading voice in the state’s response to the opioid epidemic and been an advocate for commuter rail. 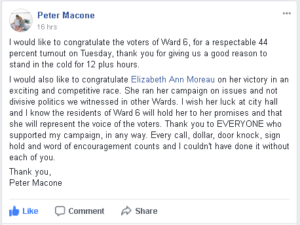 Despite conceding the race and congratulating his opponent in a Facebook post, Ward Six aldermanic candidate Peter Macone has filed for a recount of his race against Alderman Elizabeth Ann Moreau. 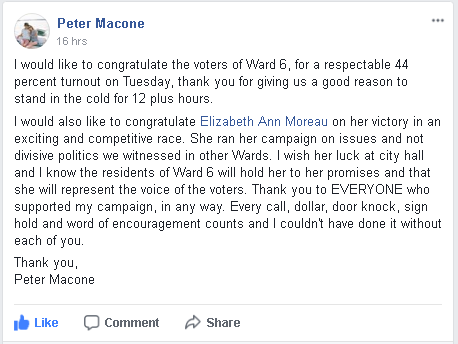 Moreau, who won by just twenty five votes, received eleven hundred fifty three votes to Macone’s eleven hundred twenty eight. There were one hundred ninety eight ballots that registered as blank when fed through the machine. Because the city is closed for business as a result of Veterans Day today, the deadline for candidates to file a recount request has been pushed to five o’clock on Monday. Ward Two school board member Debra Gagnon Langton is considering a recount of her twenty vote loss to former New Hampshire Democratic Party Executive Director David Scannell, one thousand fifty to one thousand seventy votes. There were over three hundred ballots considered “blank” in the race. No word from Ward Nine aldermanic candidate Jim Burkush who pulled up twenty four votes short of Alderman Barbara Shaw in Tuesday’s election. Ward Three Alderman Patrick Long has also filed for a recount. He lost by just seven votes to Tim Baines, son of the former mayor. Ouellette: Sabotaged at the polls? Was there some organized funny business at the polls in Manchester Ward Eleven on Election Day? Inquiring minds want to know. Girard at Large has received and confirmed reports that multiple van loads of non-English speaking people were brought to the poll. 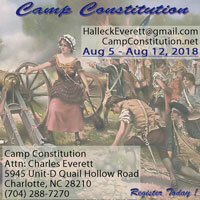 According to sources, a woman with a green clip board adorned with an Obama sticker seemed to be at the center of the activity. Seventy new voters were registered in the ward, which is a lot for that polling place in a city election, and so many of the new registrants needed help registering and voting that poll workers ran out of the forms that are used to request assistance. Sources tell Girard at Large that when asked for their address, some didn’t actually know what it was and the only identification many brought was their naturalization paperwork. Gamache: Beneficiary of questionable votes? 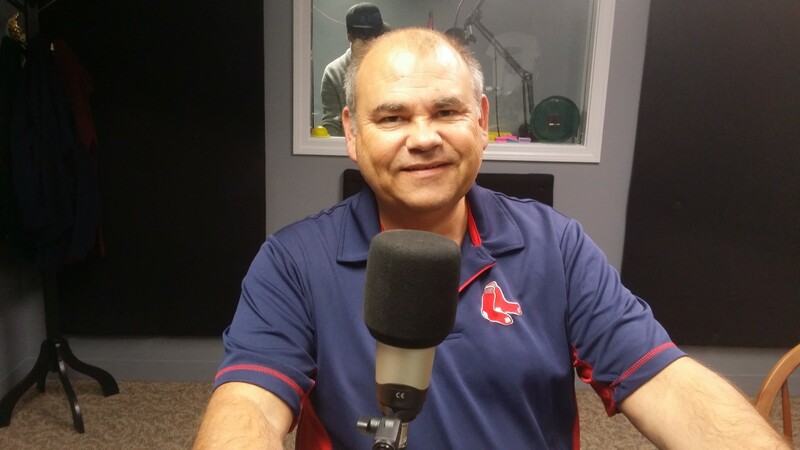 Aldermanic candidate Russell Ouellette lost to incumbent Alderman Normand Gamache by just thirty nine votes out of almost eleven hundred cast. You can bet that the Obama clipboard lady wasn’t there to help Ouellette win. Too bad state law keeps all that information on the voter affidavit and registration forms secret, or we’d go and take a look at who claimed what in order to vote. Tomorrow is Veterans Day and today is the day that most people have off to celebrate it. Be sure to check with your local communities to see what services, if any, are still operating today. Be sure to check with your bank, too. 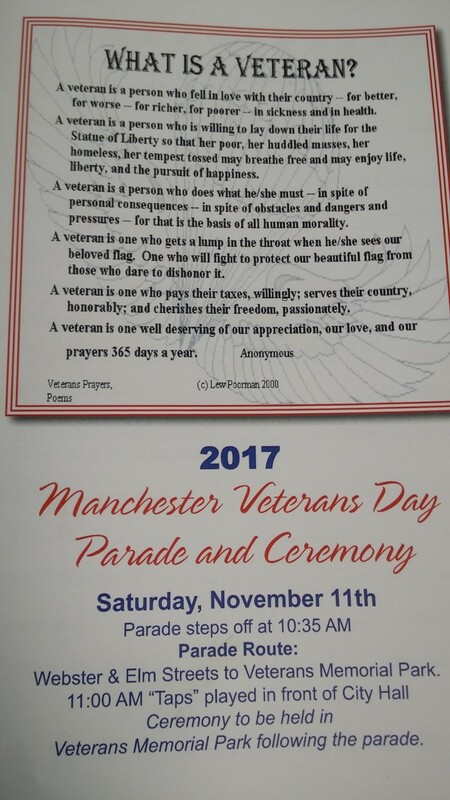 Manchester’s Veterans Day Parade steps off from the corner of Elm and North streets tomorrow morning at ten thirty. 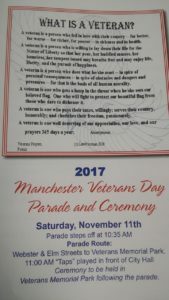 The procession will stop at eleven to commemorate the signing of the Armistice that brought an end to World War One, where Taps will be played at City Hall. Following the parade, all Marching Units will assemble at Veterans Park for ceremonies. Sununu will deliver remarks at the state Home for Veterans in Tilton today and at the state Cemetery for Veterans tomorrow during commemorative ceremonies. The Hooksett Recycling and Transfer Station will be closed today and tomorrow for the Veterans Day weekend. Both Friday and Monday’s collection routes will be collected on Monday. Officials say to expect delays between the trash and recycling collection and to call 6 6 9 5 1 9 8 if you have any questions.